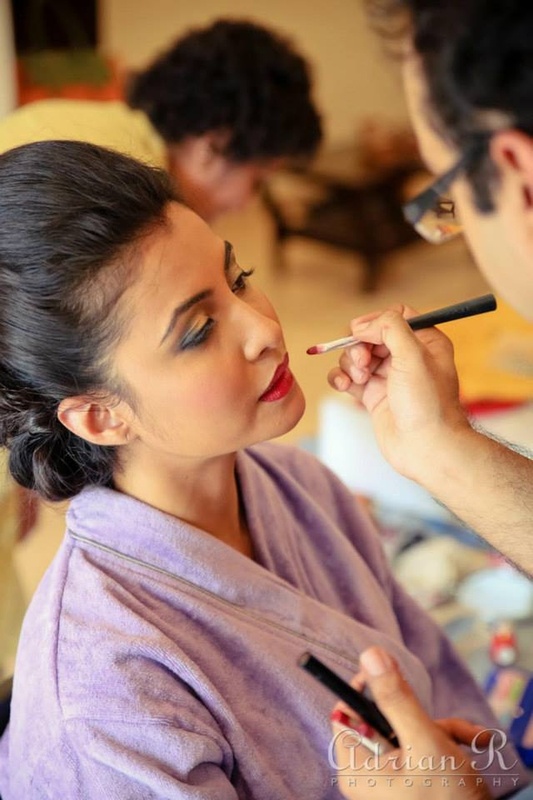 Having spent the fondest memories of her childhood at numerous naval bases, Richa developed a keen attachment to the ocean. 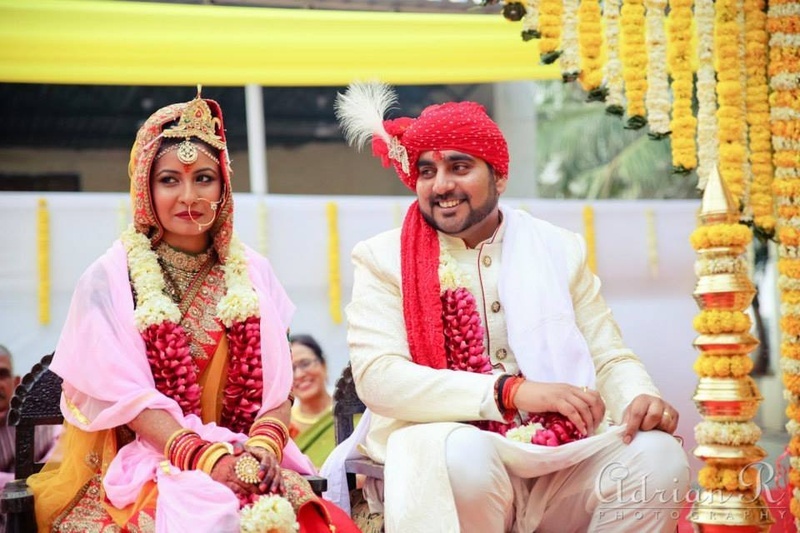 This love was reflected in her traditional inter-state marriage, which was held at the United Services Club in Mumbai’s posh Colaba. 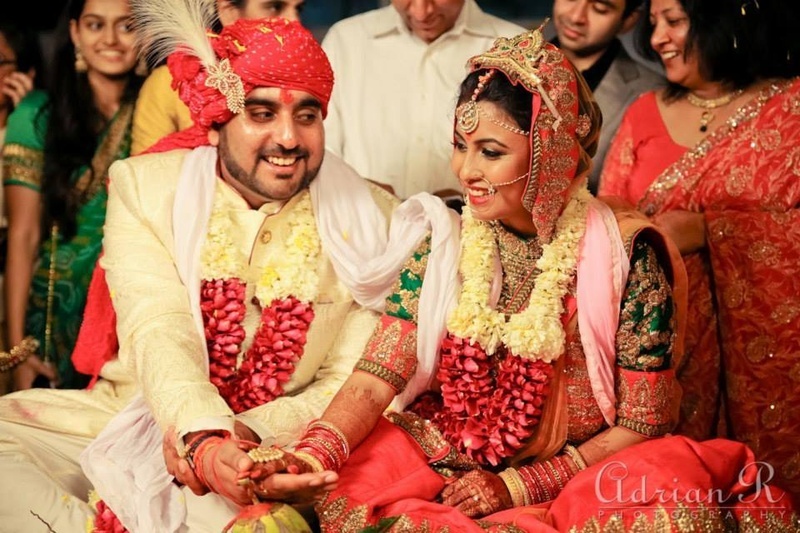 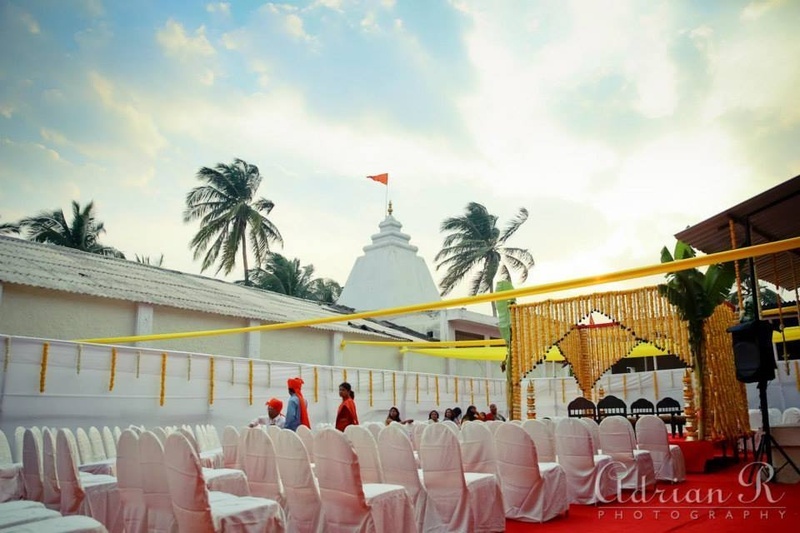 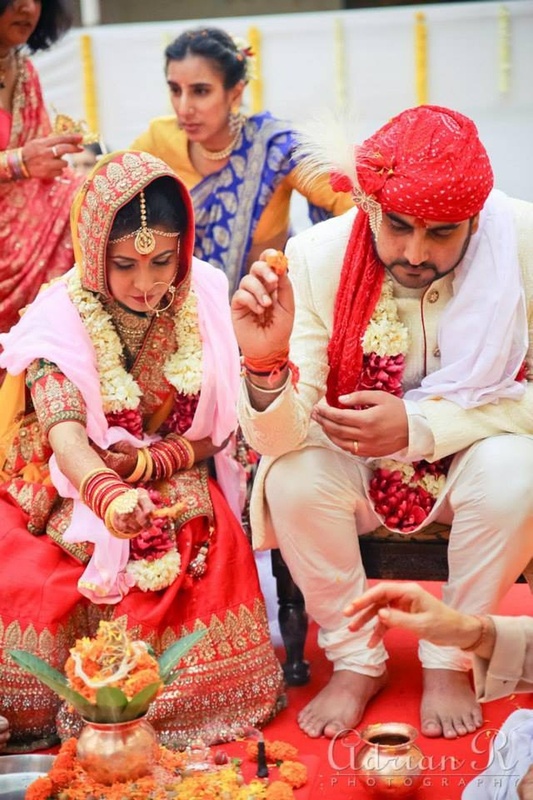 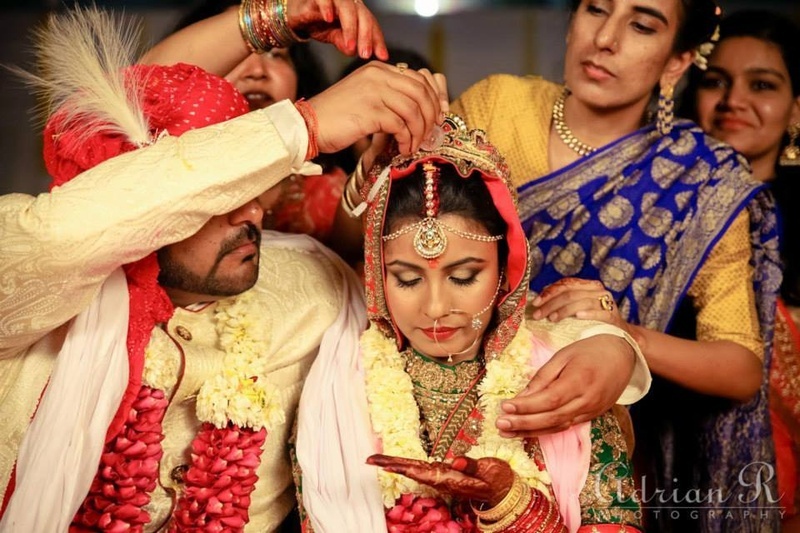 Their wedding happened to be on the Basant Panchami, where two rich cultures- Haryana and Orissa got together to celebrate a wonderful union on an auspicious day. 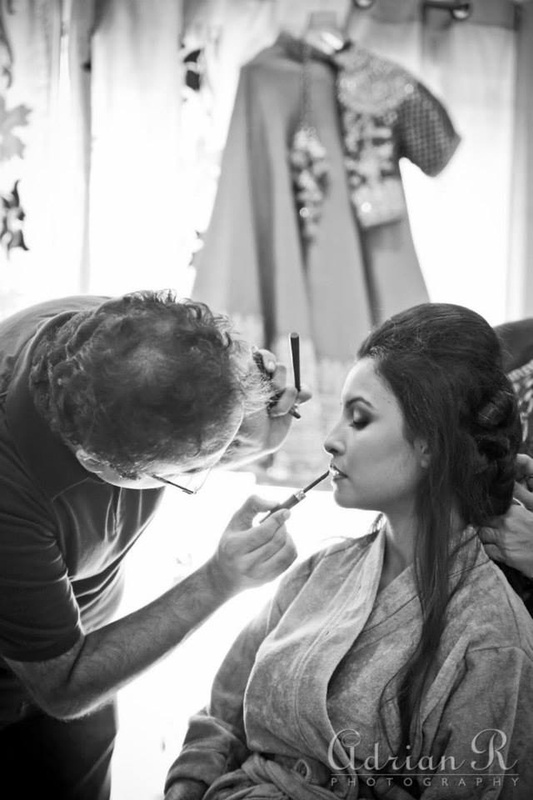 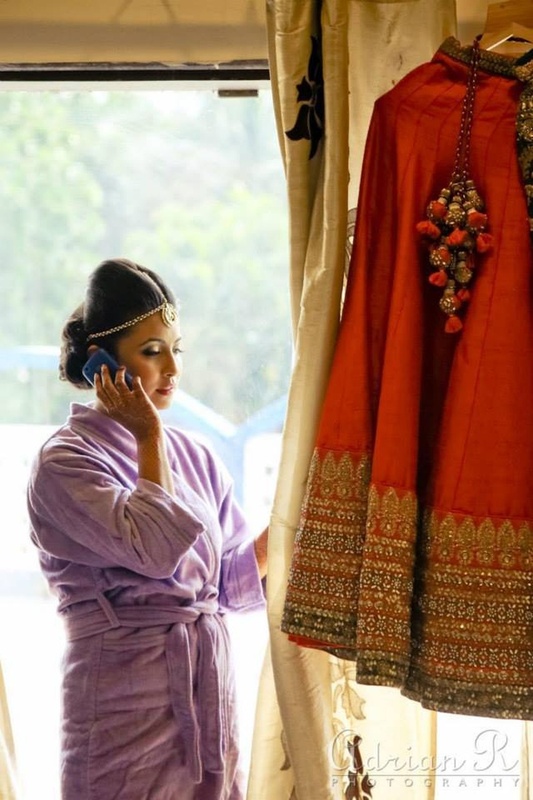 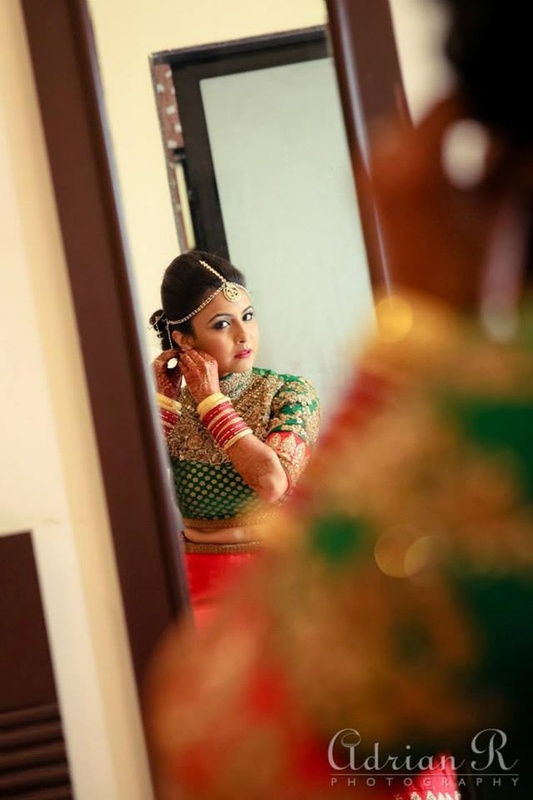 Richa travelled extensively from Jaipur to the South of Delhi in search of her wedding outfits. 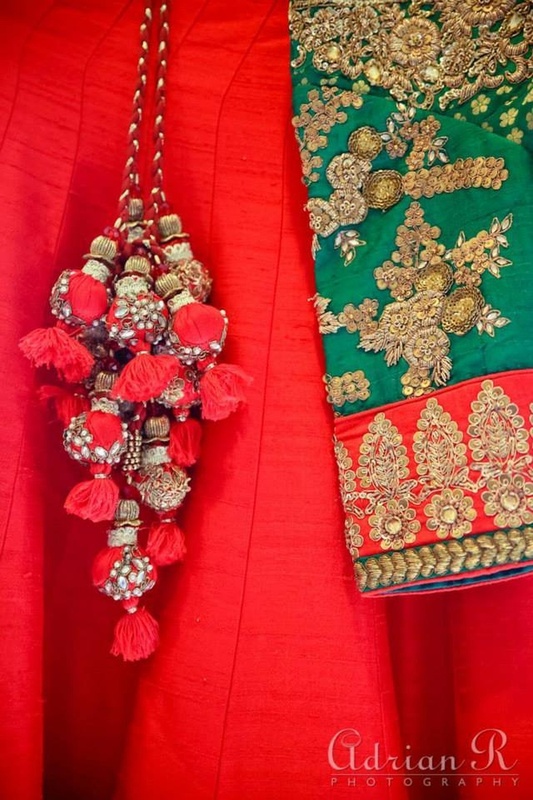 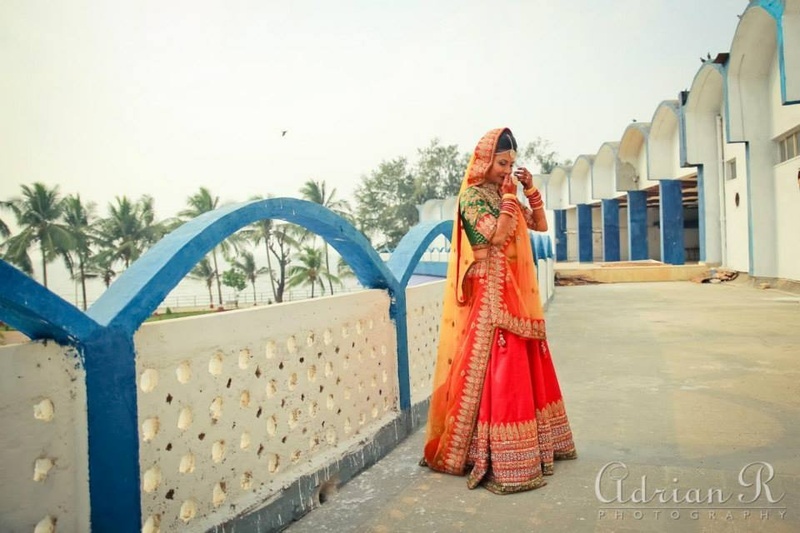 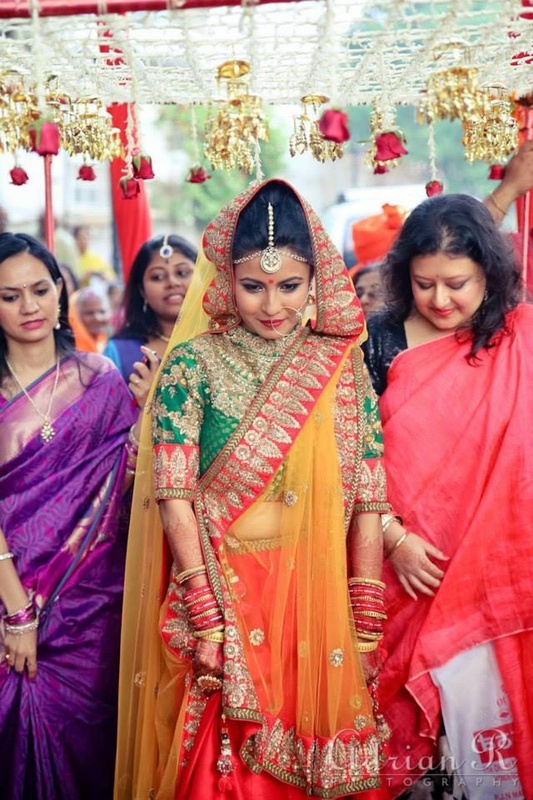 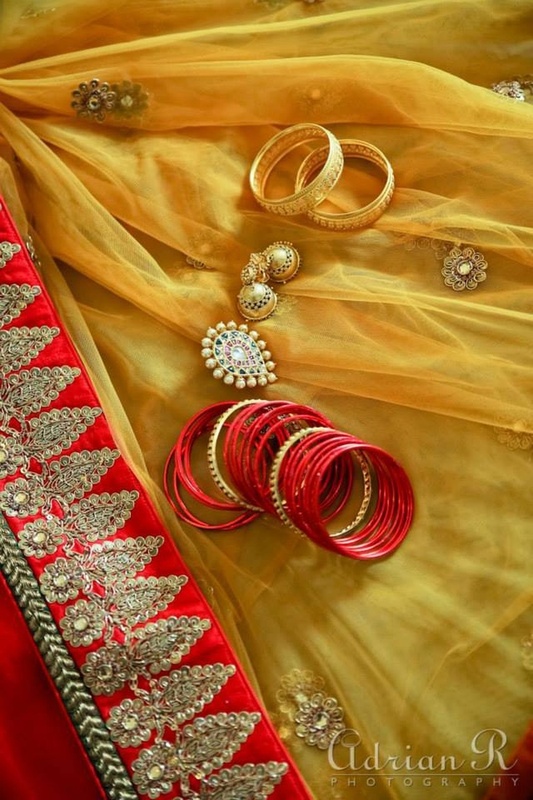 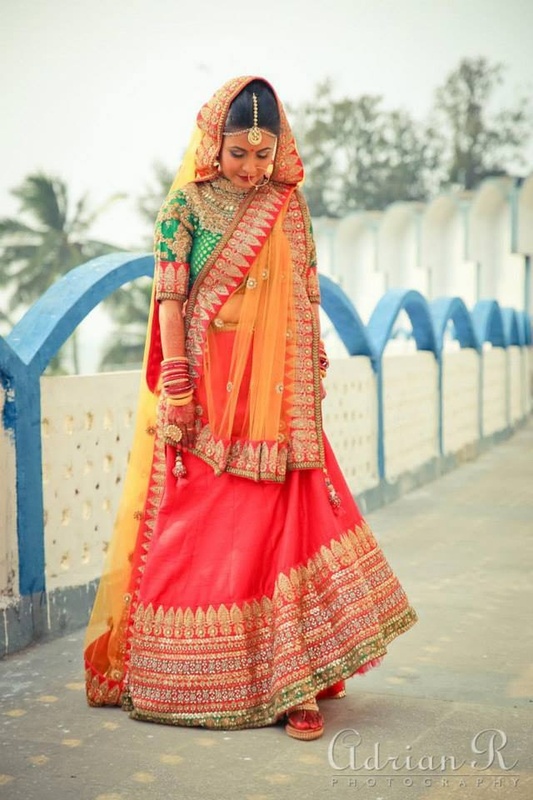 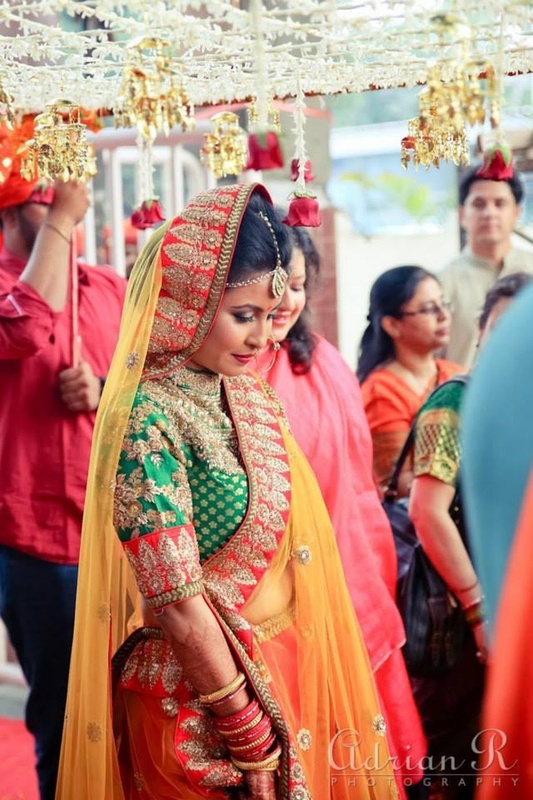 She was greatly inspired by the designer lehengas made by Sabyasachi and landed up buying an awesome wedding lehenga from the Frontier Raas, Delhi. 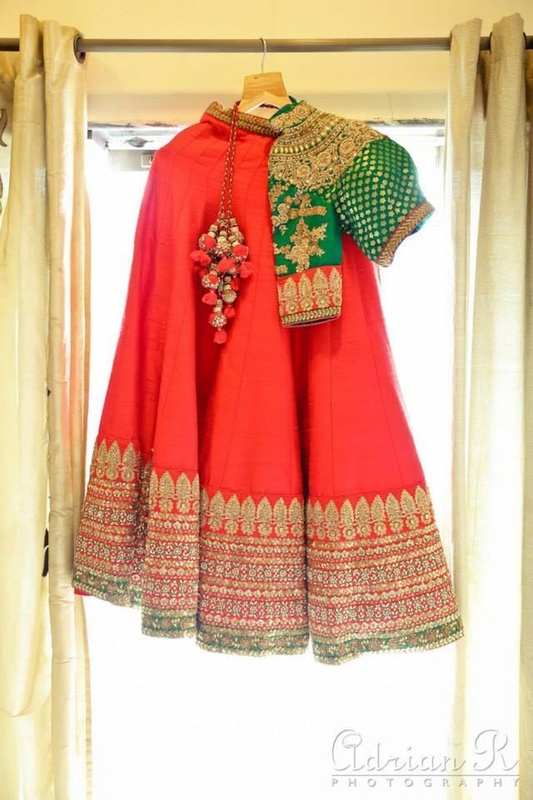 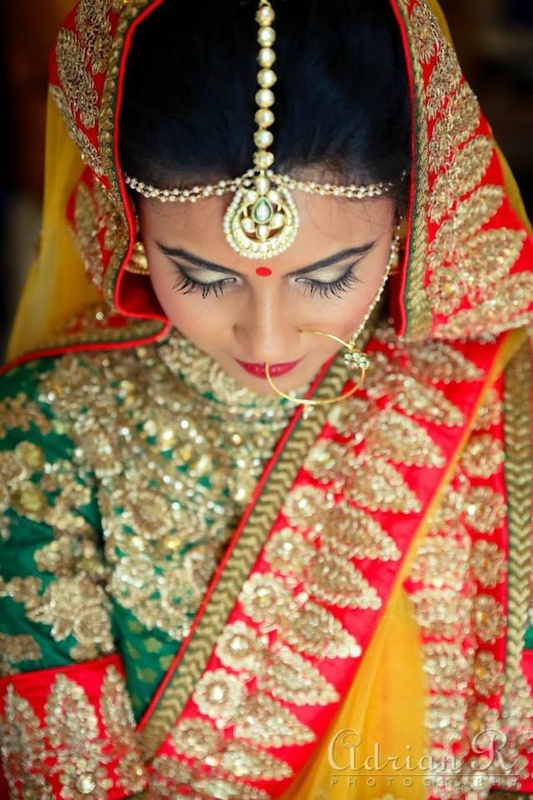 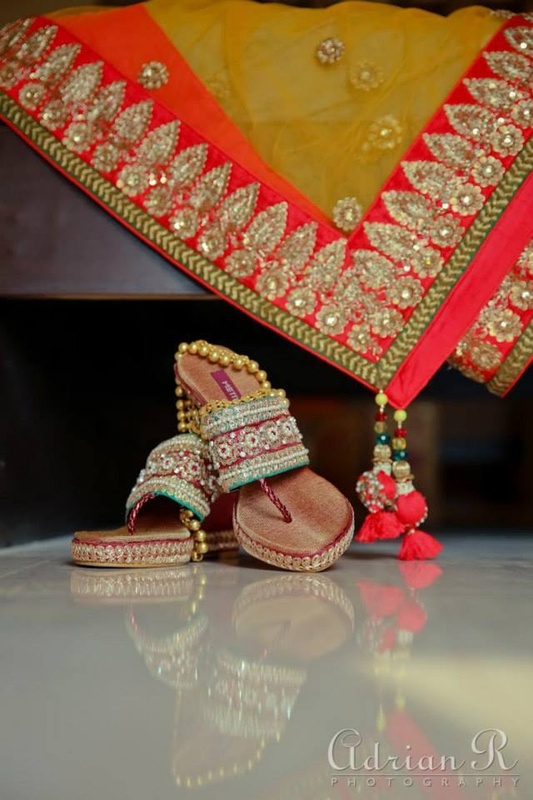 This ethnic bridal outfit had an impressive traditional embroidery work on it. 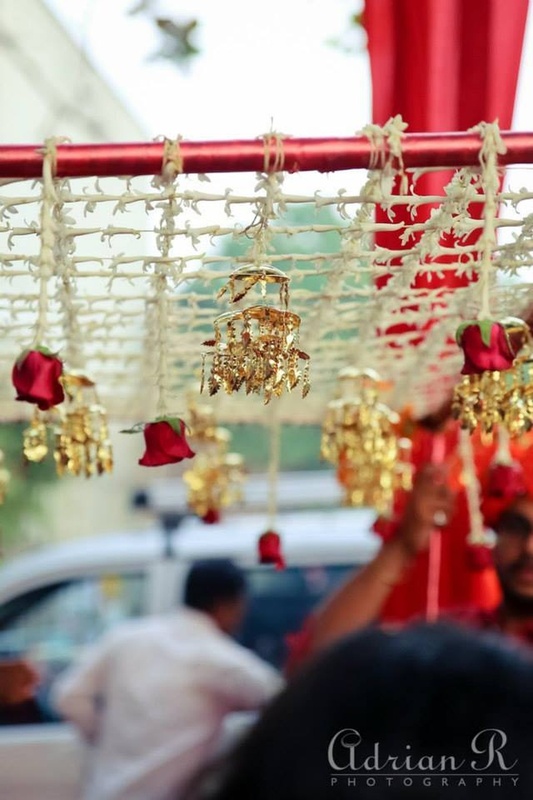 She also adorned a delicate nath and a gold mathapatti. 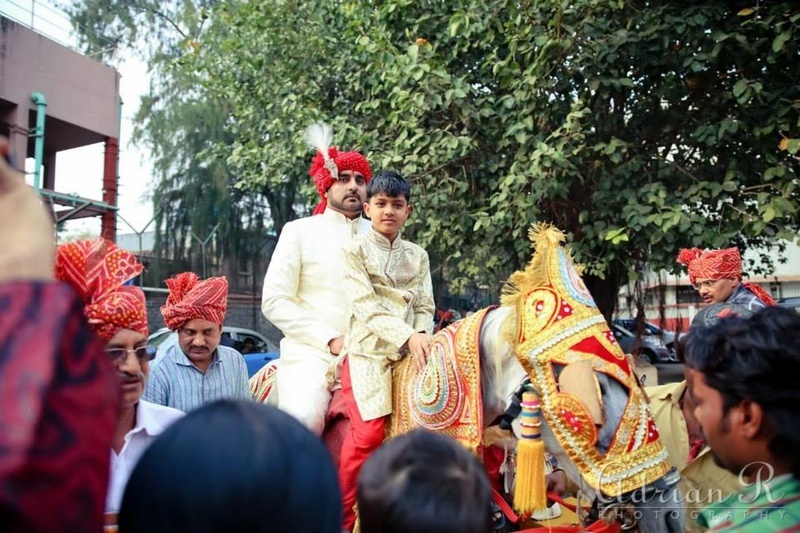 Aditya wore an off-white traditional shervani that was bought from Mehboob Sons, North Delhi. 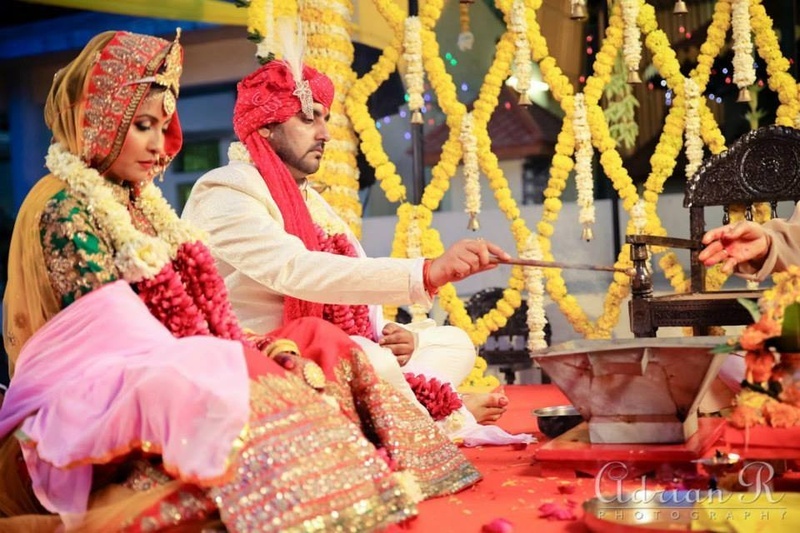 He accessorized the look by wearing a traditional safa and a feathered kalgi. 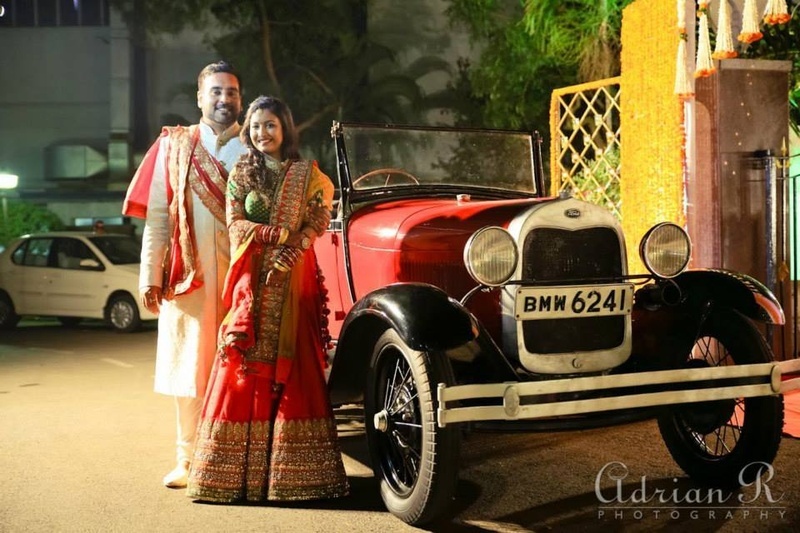 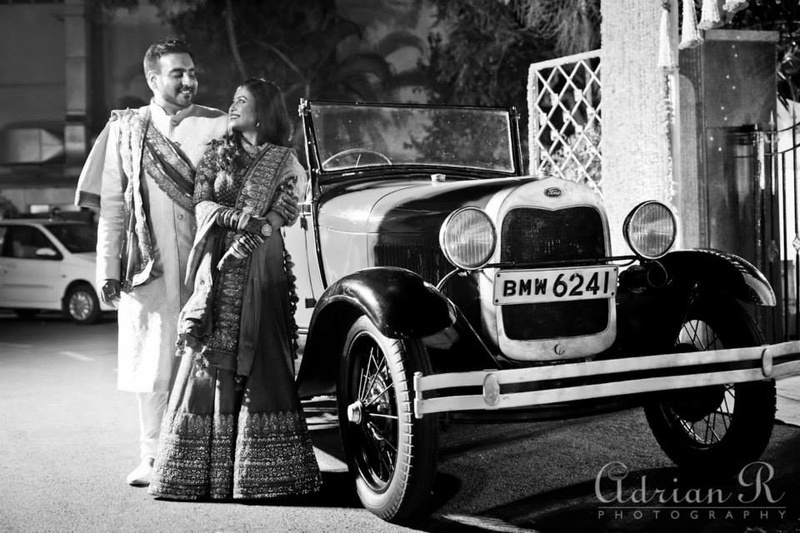 At the baraat, he first arrived on a horse and later took a royal ride in a classy vintage car. 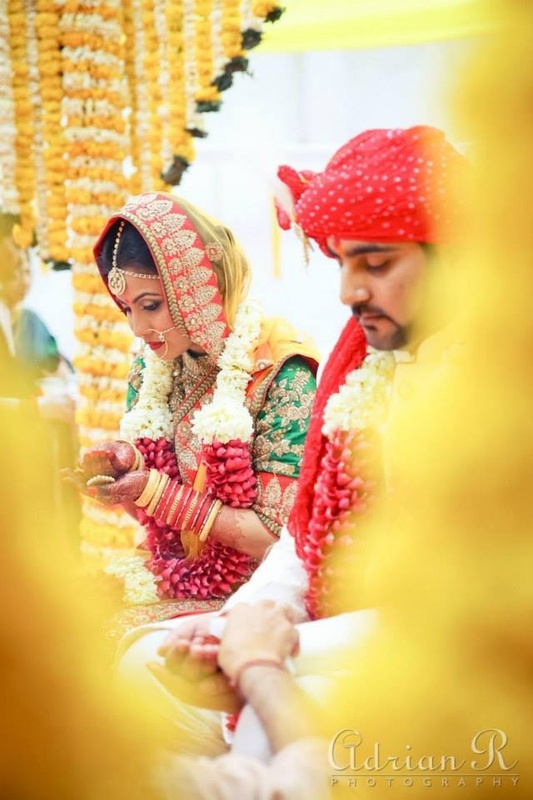 With the ceremonial tunes of shehnai, dhol and harmonium in the background, the bride and the groom took saat pheras and exchanged garlands. 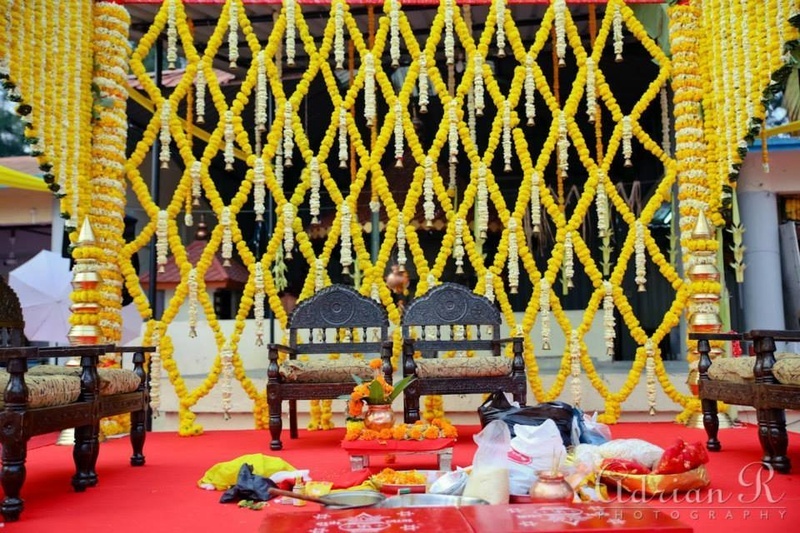 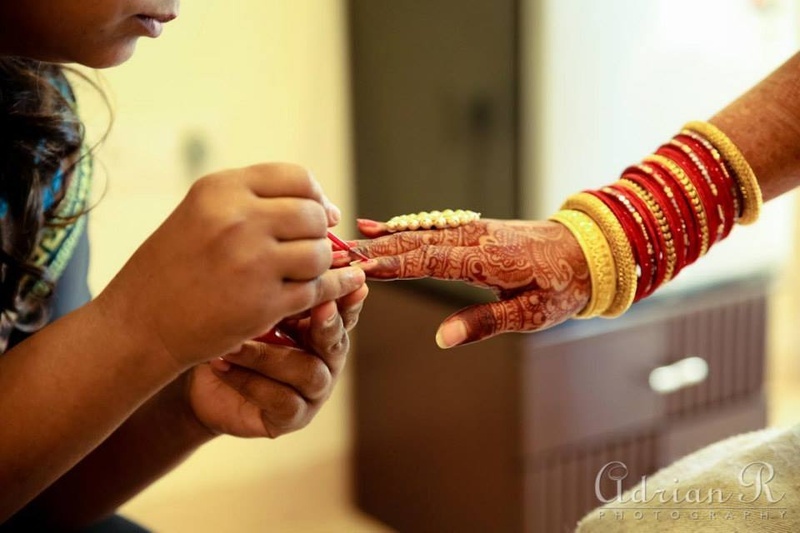 Under the florally decorated wedding mandap, the groom also applied sindoor to the bride. 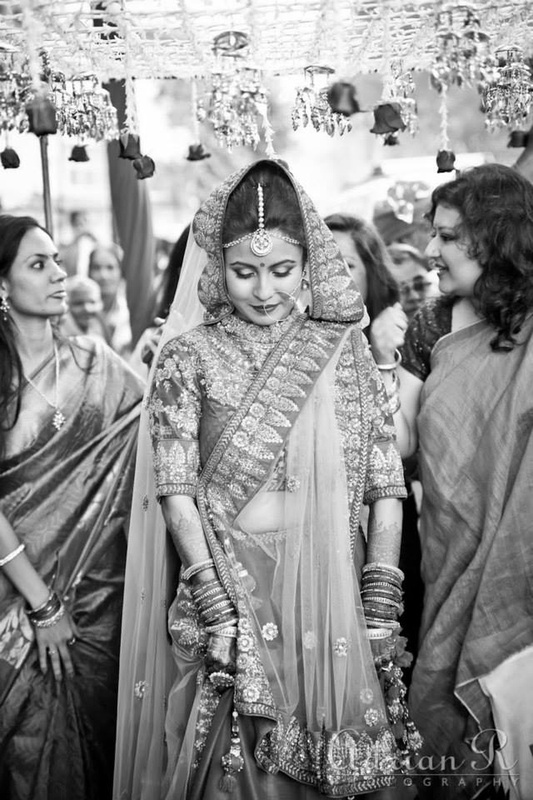 The highlight of this wedding was the Hatha Ghanti Ceremony. 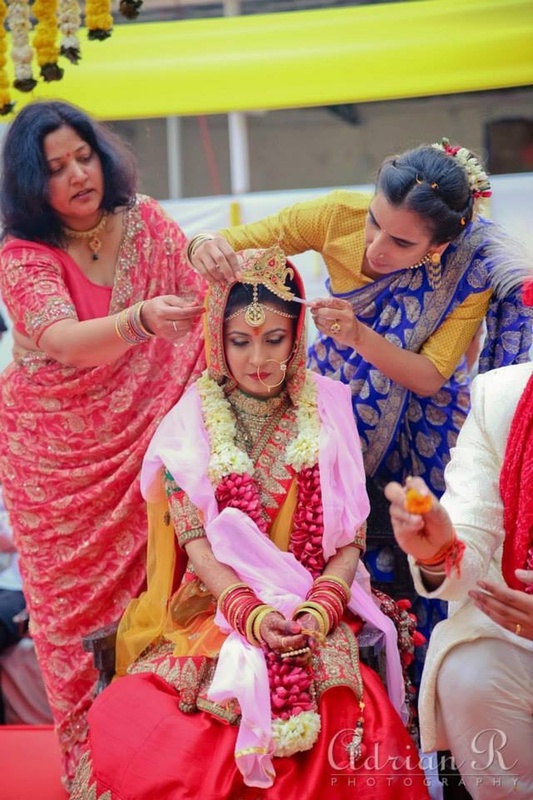 With a coconut in their hands, the bride and the groom hands are tied around the coconut and the sister of the bride unties the knot in exchange of a reward. 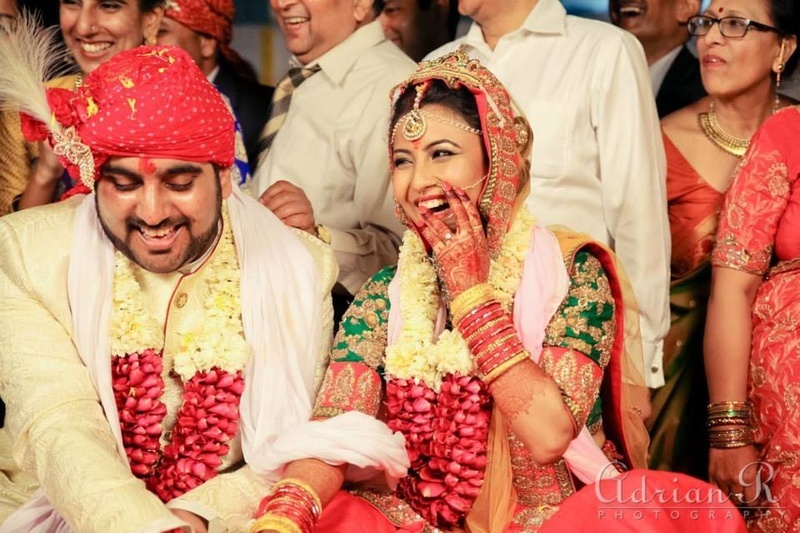 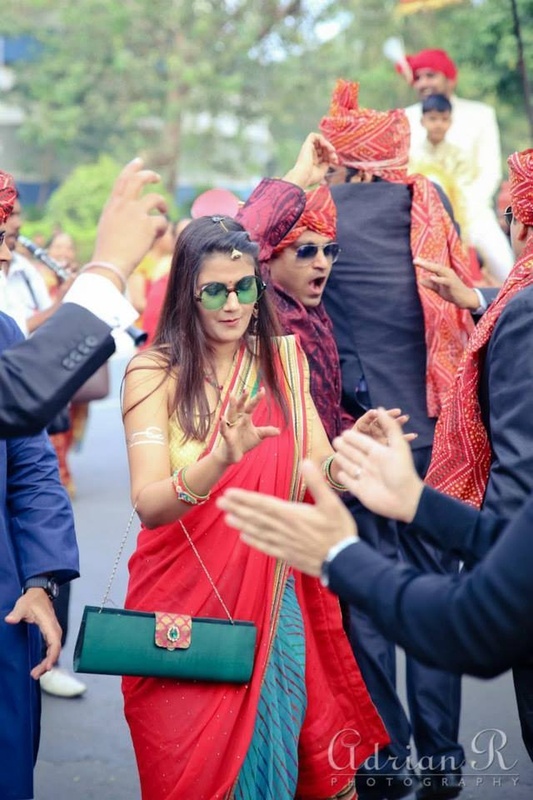 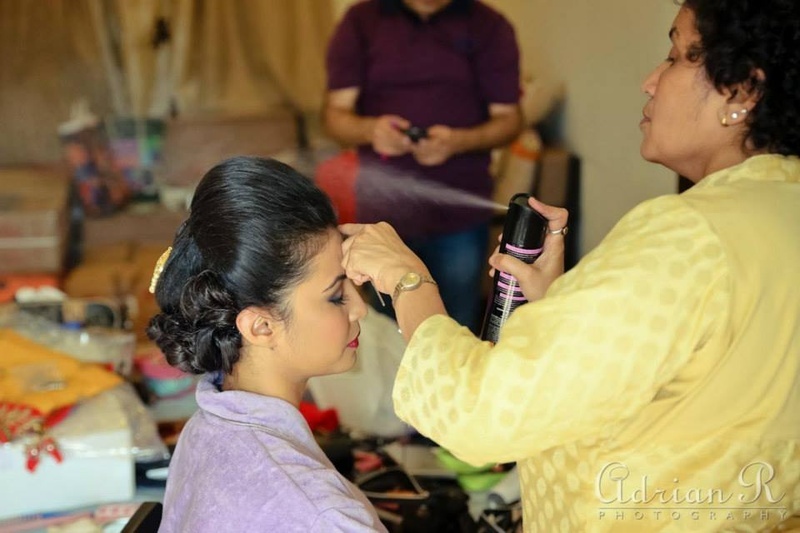 Richa was emotionally overwhelmed by the presence of each and every relative and friend, who had flown from different parts of the world to attend her nuptial. 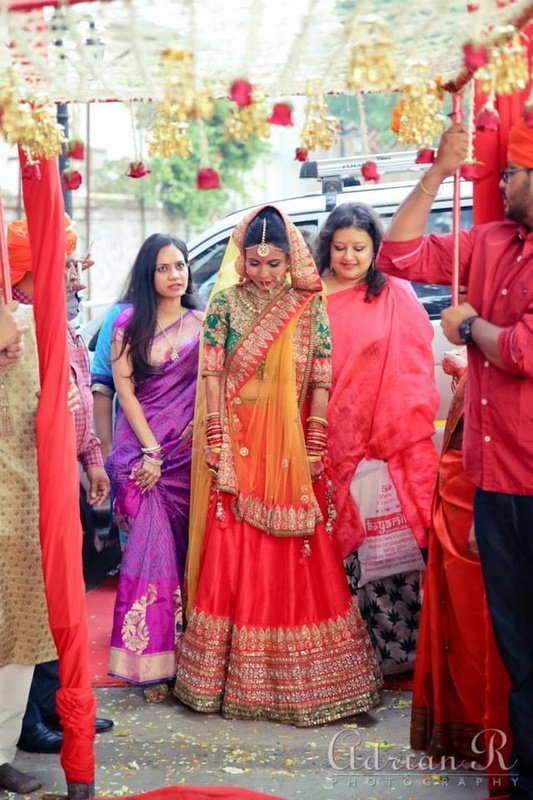 Since she had always been away from them, seeing everyone under one roof, gathered to witness the most important day of her life, became the most memorable part of the wedding for her. 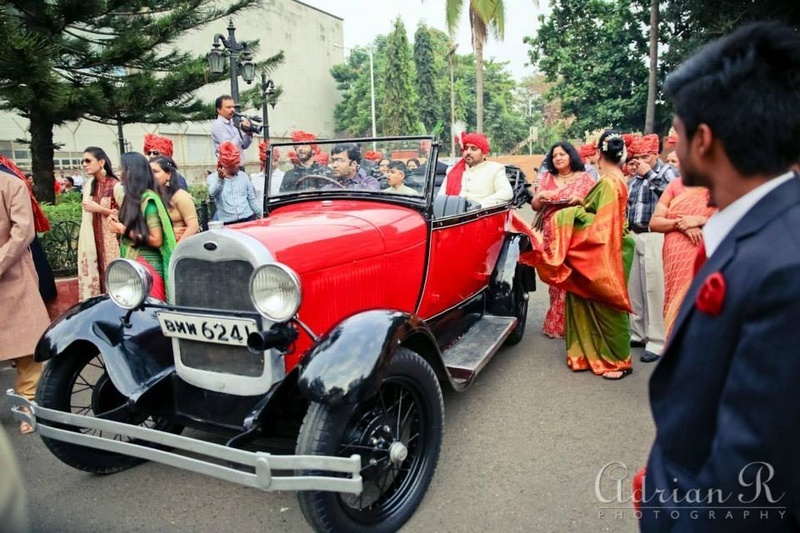 Red Vintage open car escorting the groom.